I have hit a few white drivers and fairway woods on the range and on a couple of holes while testing them, but I have never played a full round with one of them and here I am about to embark on playing 20 courses in a 12 days stint. This was me throwing myself in at the deep-end with no back up driver to turn to, which is probably what you guys want to hear – a real test, not just a couple of smacks on the range. I am a bit of a traditionalist so I have never really got the white driver craze, but you do get that optical illusion that the clubhead is bigger than it actually is and it does seem easier to align. When you read the tech stuff, it’s one of the keys that all the manufacturers are using. 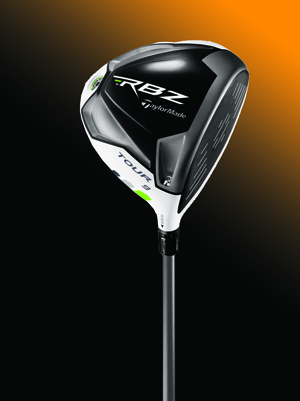 Where I think you notice it the most is with the fairway wood, this thing is like a hammer. I was watching the commercials in the US stating that the fairway wood gives you and extra 10-15 yards and I can confirm, although I wasn’t on a monitor, this is probably the case. I certainly loved the feel at impact, it’s really solid and the sound and the ball flight are very impressive. Unlike when I tested the RBZ irons at altitude, this test was at sea-level in California and with varying weather conditions, from chilly and damp to very hot and clear, but a lot of the longer par 5s were now in reach and I was getting on to or around the greens of 530-550 yard holes and even put it through the back of a couple! I didn’t get a chance to play around with the Flight Control Technology (FCT) and just had the driver set at neutral 9 degrees, but I did like the idea of the adjustment, mainly because once you get confident with the driver being at 9 degrees you could then start to take it down in increments and increase your length from the tee. And obviously the reverse is true if you’re having a tough time just take it up a degree, to gain some control back. I am probably like a lot of you out there, give me a 8-8.5 degree driver and I start getting a bit wide and wild off the tee, but give me my driver that I have been smashing down the fairway 95% of the time and take that down 0.5 or 1.0 and the rest as they say is theory. Time for you to go and put it to the test. 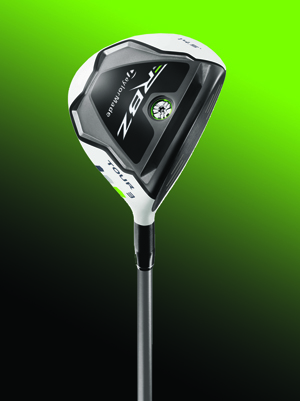 The head is inspired by the professional tours and the aerodynamic shape is built for speed and power to give you the optimum distance for your swing speed. The Flight Control Technology (FCT), which is something you can have a lot of fun with on the range allows you to tune the launch angle by increasing or decreasing the loft up by 1.5 degrees or down by 1.5 degree lower, giving you eight settings, it’s like having your own custom fit driver. 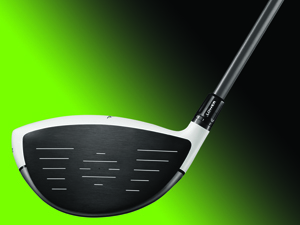 The contrast between the white crown and black clubface makes it easier to align at address, while the matt white finish not only improves your focus but eliminates glare when the sun is high and bright and the illusion that the white head is actually bigger than it is in reality can only inspire confidence in your golf swing. 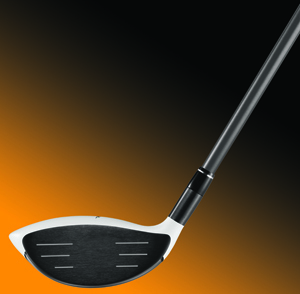 The fairway wood has a speed pocket designed into the sole of the club which helps give you increased clubhead speed that then boosts the speed you are bringing the club back to the ball, giving you a strong penetrating ball flight for greater distances but also added control because of the loft on the club. I would definitely put these two on your test list and especially the three wood, if you are a bit wild off the tee, maybe going down to a strong 3-wood will help with your control and with this great white monster you won’t be losing too much distance. As for the driver I loved the way it sat behind the ball and even at 9 degrees I felt I still had a lot of control, add that to the penetrating ball flight and the way it performed under all conditions and the RBZ Tour woods are clubs that I would recommend with confidence.